Guess what, guys? 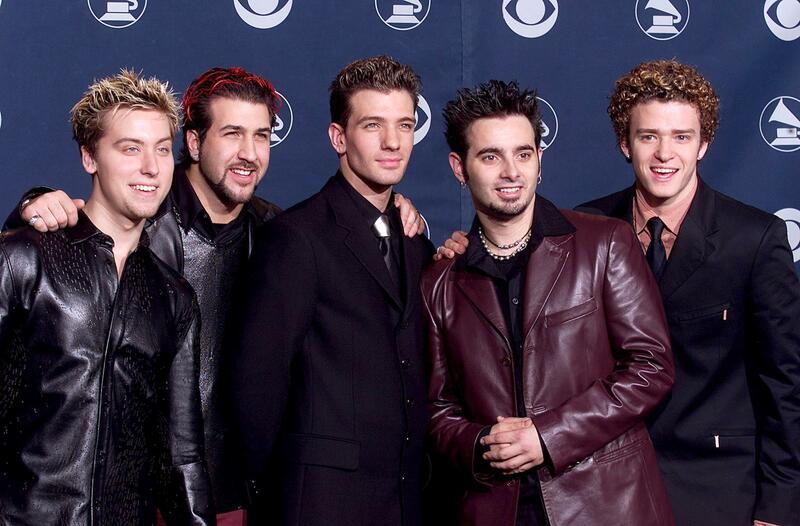 It's gonna be May tomorrow, and since the last day of April also signifies a surge in popular Justin Timberlake memes circa his *NSYNC days, I find myself continuing to cling to the hope of my favorite boy band of all time reuniting. I know what you're thinking: "Tracy, Justin Timberlake reunited with *NSYNC during the 2013 VMAs. Didn't you watch it?" Yes, I watched it — of course I watched it. The thing is, that "reunion" was something I considered a certifiable tease. It's not that I didn't enjoy the mini-concert of Timberlake's solo hits, but the long-awaited performance between all five original *NSYNC members included only a few snippets from two of the quintet's hits ("Girlfriend" and "Bye Bye Bye," respectably). Where were the rest of the songs? Where was "Tearing Up My Heart," and "This I Promise You," and — for goodness sake — "It's Gonna Be Me"?? I understand that Timberlake has moved on to a successful solo career, and the other four members have moved on to different projects and seemingly retired from the idea of a full-blown reunion, but I continue to hold onto hope. If New Kids On The Block and the Backstreet Boys have taught us anything, it's that dreams (i.e., reunions) really can come true. Without further adieu, I've compiled a list of reasons that each member of *NSYNC needs to dust off their dancing shoes and reunite — stat! We Still Hold Onto The Memory Of "It's Gonna Be Me"
Clearly we — along with the internet — haven't forgotten all the joy these dispensers of pop hit after pop hit bestowed upon us. It's time to get some reunion tweets trending #now. As brief as *NSYNC's little VMAs stint was, all five members were able to showcase some of those sweet dance moves we came to know and love during the late 1990s and early 2000s. Despite the band breaking up, all five members have remained friendly and supportive. The boys even reunited for Chris Kirpatrick's wedding! Squee! I hope this doesn't stir up any negative emotions from those still mourning Zayn's One Direction exit. Stay strong, guys! There's nothing like the adorably goofy antics of these five guys to brighten your day. If you're going to do a full-scale reunion, you better look the part. Timberlake, I suggest you start growing those curls out pronto. While we anxiously await the possibility — regardless of how slim said possibility may be — of an *NSYNC reunion, I suggest that we take a trip down the lovely road of nostalgia in the meantime. Excuse me while I dust off my scratched copy of "No Strings Attached" and listen to "It Makes Me Ill" ad nauseam.